Happy New Year to all of our customers, stockists and friends. We had a busy 2015 and are looking forward to another great year. We could not have done it without all of your support. There will be new and exciting things for Clever Man this year. We will keep you posted! We are delighted that Ardkeen is now carrying our range of beers. They are an independent food store that supports artisan producers. Check out their website www.ardkeen.com and see all that they have to offer! Probus Wines & Spirits is a great cafe & deli now serving our Clever Man Beers. They offer over 100 craft beers and three rotating on tap. You won’t go thirsty here! Stop in for food, wine or an Irish craft beer.  The Yard Restaurant is another local Wexford restaurant that is now serving our range of beers. Why not stop in for a delicious Yard fillet steak and a locally made craft beer. We appreciate their support of local producers. The Camden Exchange is now serving our range of beers. Stop by and check out their street food menu, market cocktails and selection of craft beers. We are excited that our Clever Man Beers are now pouring! We are excited that our range of beers are now available at The Talbot Hotel. The hotel is located in the heart of Wexford Town. So if you are around for the Wexford Opera Festival why not pop in for some great food and a great local beer. Looking for a Clever Man this weekend? Why not stop in Deveneys Dundrum and grab a beer. Our full range of beers can now be found in another great off-licence in Dublin. Looking for another spot in Dublin to find our great range of beers? The Leopardstown Inn Off-Licence is now stocking our Atractor, Little Willie Tank, Ejector Seat and Turf Smoked Stout. Why not try a Clever Man? We are happy to say that our range of beers can now be found in the Drinkstore. The Drinkstoreis located in Stoneybatter in Dublin. Stop in and check out their wide variety of Irish Craft Beer.